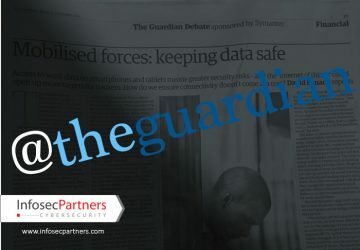 On Monday 14th July, an article was published in The Guardian, a leading British newspaper, titled “How to promote data security in the workplace? A roundtable report”. Covering a roundtable with some of the online security sector’s leading figures, including Infosec Partners’ very own Mark Oakton, the roundtable discussed Security, Big Data and the developing role of the IT executive.